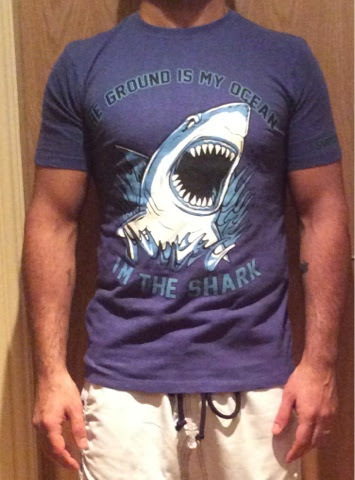 Grappling and BJJ tips by Liam The Part-Time Grappler Wandi: BJJ Gi review: Submission FC Aura pants and assorted hemp TShirts. 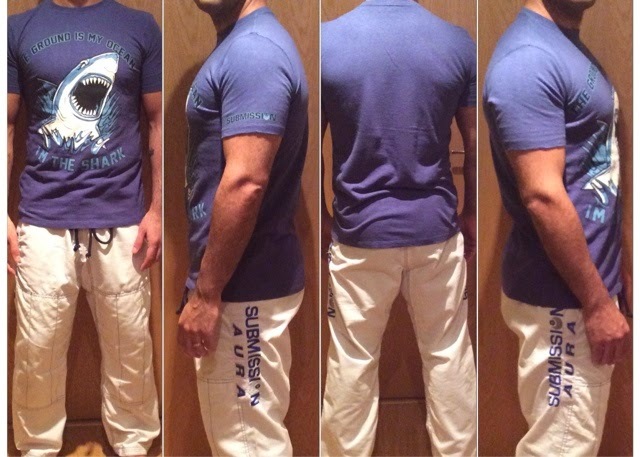 BJJ Gi review: Submission FC Aura pants and assorted hemp TShirts. 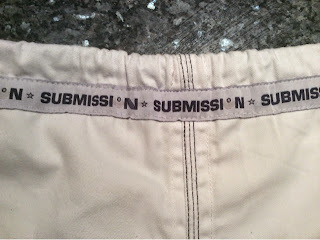 These gi pants sold by Submission FC are by far, BY FAR, the softest gi pants I've ever put on. In fact, they just might be the softest thing I've ever worn. The pants feel very solid and indestructible. These are my measurements which did NOT change after four 30degree washes. Itchy scratchy cuffs, but will probably never break. Ever! I like the fact that what you see is what you get in terms zero shrinkage. For $55 (£35), I strongly recommend these pants but make sure you get the sizing right. 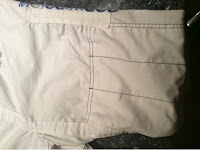 As you can see above, the pants are heavily re-enforced around the stress areas (groin, knees, cuffs...etc.). 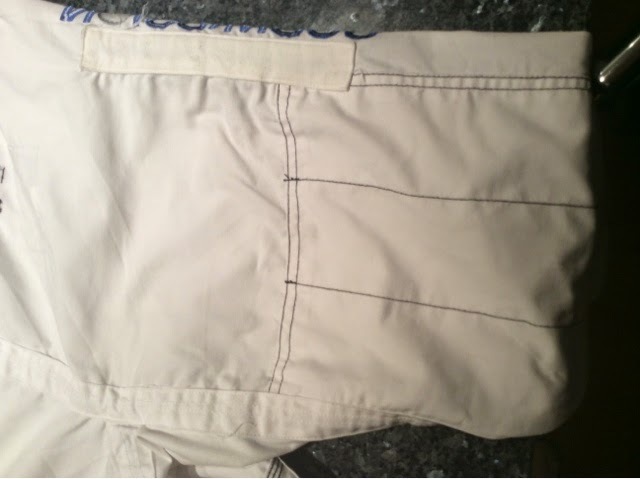 So much so, that it feels like the pants are made of several parts stitched together for extra toughness. 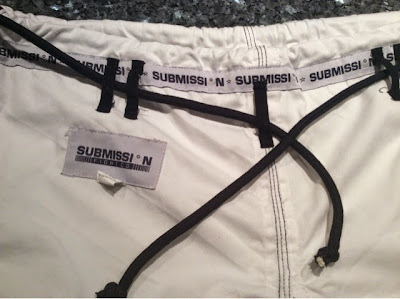 Our newest Submission bjj gi pants, made from a polyester cotton blend, making these pants super soft to the touch. With heavily reinforced stress points it makes these bjj gi pants perfect for competition and every day training. 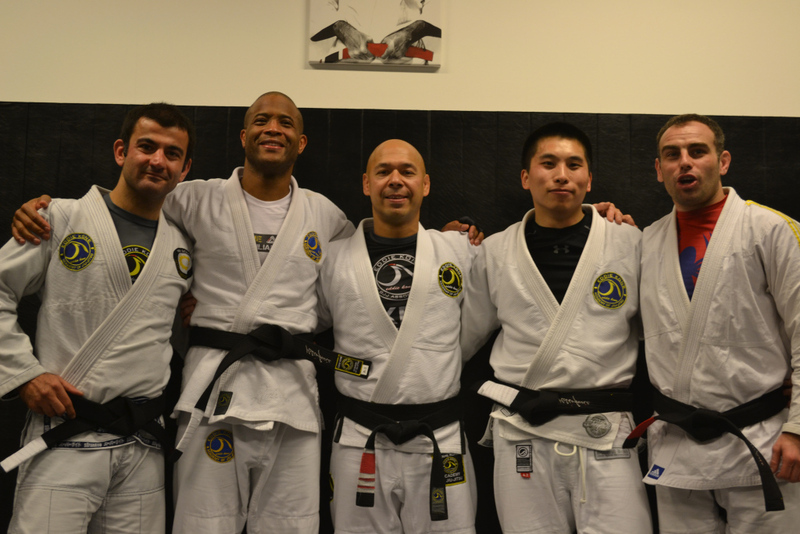 Strengthen your Aura with the new Aura BJJ Gi pants from Submission! 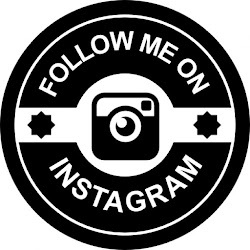 I'm personally not a huge fan of any art work that is that explicit in its message but I know that there's indeed a huge market and demand for bold imagery and eye-catching captions. The shirts themselves feel very soft (can you notice a theme?) and well made. They are tailored to fit nicely on the body. I'd like to thank the team at Submission FC for sending me the stuff to review, but also for their patience.